PaidToClick.in pays me every time when I request my payment. It's very, very good site . 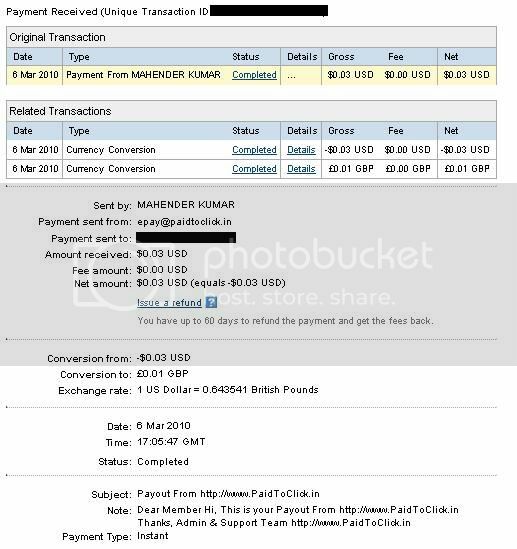 I started 15.10.09. here is my payment proof. (I'm SILVER member, - Silver membership costs only $1.50). 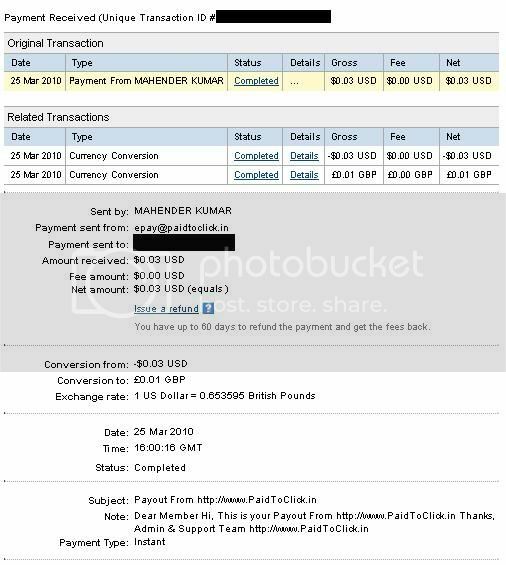 Same day payment through PayPal. All members from the following countries must purchase a membership in order to be able to cashout. If you are a member from any of these countries and you attempt to cashout without purchasing a membership, your account will be deleted. So Must Pay in order to get paid ? My first payment on this!